Yesterday we revealed How To Transform Complaints Into Compliments. 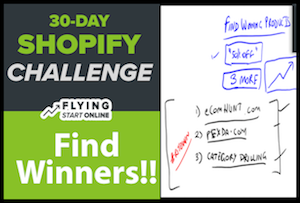 Today we cover strategies to find “Winning Products” for Shopify stores. We are going to be taking another step to further scale your Shopify business. Being able to honestly say you have a successful business isn’t something that happens overnight. And once you are finally able to claim business success, your work doesn’t magically stop. It took preparation, execution and consistency to get here. It’s going to take all of the same qualities to continue to not only maintain your success but enhance it moving forward. Continuing to enhance your Shopify business with high quality, high converting products. We will let others do the hunting (research), while we reap the rewards. This service provides a curated list of the hottest new eCommerce products to sell – each and every day. eComHunt offers both paid and free accounts. This paid service shows you everything eComHunt shows you, but takes it a step further. Shipping, profit margins, order numbers, and pretty much any other intimate stat you’d want to make informed decisions with is neatly laid out for you – daily. Pexda.com also provides a link to each product on AliExpress. When you are perusing products on AliExpress, typically you’ll start by selecting a general product category like “Outdoor” or “iPhone” and go from there. That’s one way to do it, but in order to really seek out the less saturated, high converting products, continue to narrow down the categories for each new product you choose. We do this for a couple reasons. 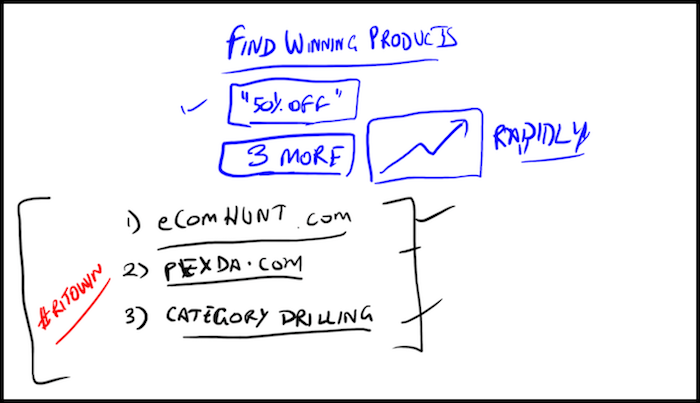 The first being when you drill deeper into the category, fewer competitors will see the same products. The second reason being you want not only unique products, but products that many people have already purchased and reviewed. Again you want to locate products that aren’t already being heavily promoted by your competitors. This is one way to try and ensure that. That’s it for Day 28 – Well done! P.P.S. Click here for Day 29! Hey Rito…Love the video! You’re giving lots of great info! 1) Which do you prefer; Pexda or eComHunt, and why? 2) In Aliexpress, on the product search results, for some reason, I am not seeing the store rating icons (below the store name) like I used to. You know, like the diamonds, crowns, etc. Any idea as to why? I rely on them a good bit. Matter of fact, they don’t show up when I’m in an actual item page either, looking at the store info. Interesting.. But one thing I’ll like to ask is … Can ecomhunt work with alidropship on WordPress store.